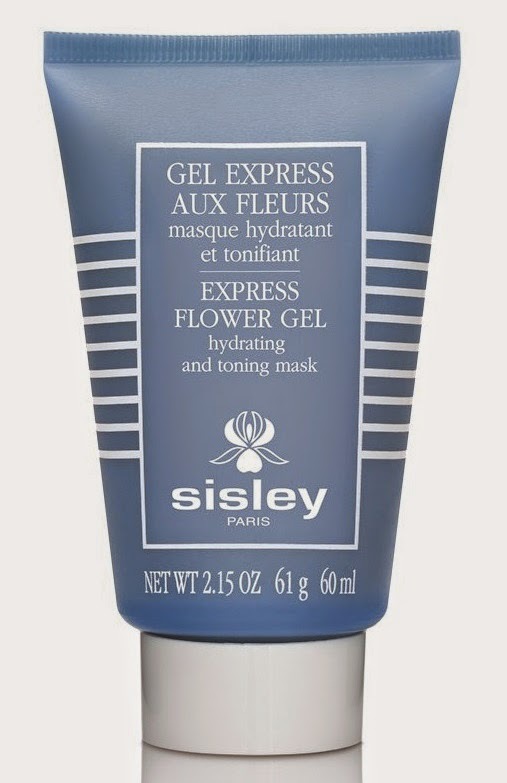 For today's Mondays with MontyC, I'm revisiting my current favourite brand (Sisley) and talking face masks, and one in particular, their Express Flower Gel mask. Masks are a quick, easy and faff-free way of giving your skin a much needed boost of <<insert whatever you feel it needs>>. For me that will always be hydration and glow (love me a bitta glow). If you don't know by now, my skin is normal to dry and sensitive (and like most people's skin, it's drier throughout the winter months) and this recent discovery was an instant hit. Anyone who read my post last week, another Sisley purchase - their Black Rose Face Oil (review on that here), the sales assistant asked if I had ever tried this mask out. And on hearing that I hadn't, promptly handed over several samples for me to try. Like most masks, it's pretty straightforward; slap it onto a clean face, give it three-to-five minutes, then remove any excess. As you can see from the swatch, the texture of this mask is one of a light gel and it feels light and cool on your skin. A little goes a very long way (you can slather it on if you feel like it but there's no real benefit to this). It really works; in those three-to-five minutes your skin will feel fresh as a daisy and look bright as a button. This product can be used day or night, it doesn't matter, the ingredients work night or day. Sisley recommend using this two to three times a week. Like most face masks. Unless your skin is in dire need of divine intervention, you'll really only need to use this particular mask "every so often". It's not cheap, I should point this out - €95 for 60ml. I've had enough samples to work with for a couple of weeks, but I probably won't purchase - despite the fact that I do highly recommend this one, I'm fortunate enough to have heaving cupboards full of samples I'll be trying out for quite some time to come. What I do particularly like about it is the lovely cooling feeling it has while it's doing its business (brightening and freshening), but in general I prefer a more moisturising and plumping mask for my skin. Look here for more info.